When my five-year-old Labrador retriever Toby developed a lump, the veterinarian estimated the cost for surgery, boarding, and follow-up care at $340. But then we learned he had cancer. We were devastated at the prospect of Toby's suffering and dying. We also faced the uncomfortable decision about how much to spend to keep Toby alive. Such anguishing dilemmas are becoming more common. Dogs and cats, like humans, benefit from such advances in medical technology as ultrasound, pacemakers, and hip replacements. But many pets aren't covered by insurance. Dr. H. Steven Steinberg runs Veterinary Referral Associates in Gaithersburg, Maryland, which staffs a variety of specialists for dogs and cats. According to him, many outpatient visits run between $40 and $80, hospitalization costs vary, and a workup can run from several hundred dollars to several thousand. It takes about $4,000 for a total workup that includes magnetic resonance imaging and surgery for removal of a brain tumor, for example. Accidents can be costly, too, as one dog's owners discovered when their pet ingested a live frog. After surgery, the frog was still alive, the dog was OK, and the bill was $1,150. Pet insurance paid most of the bill. How pet insurance works. Not everyone agrees that pet insurance is necessary, but I wish that we had covered Toby before he developed cancer. The total bill for his two surgeries, examinations by specialists, and diagnostic procedures came to $1,03 1. Here's how I would have fared with typical plans from Medipet and Veterinary Pet Insurance, the two major pet health insurers in the country. Medipet Plan A would have reimbursed me about $687. The plan costs $99 a year. After a $50 deductible, the plan pays 70 percent of the remaining bill up to a $1,000 limit per injury or illness. Medipet Plan B ($42 a year, $250 deductible, 70 percent up to $2,500) would have returned about $547. Medipet is offered in every state except Tennessee, plus Washington, D.C., and Canada. 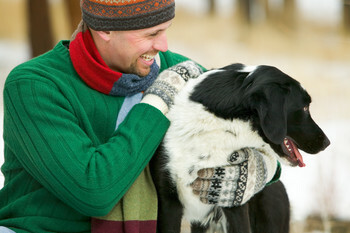 Policies cover only injuries for pets 10 years or older. 800/345-6778. Veterinary Pet Insurance Company's Plan 20 would have returned about $600 for an annual premium of $99 covering an animal 5 to 8 years old. That plan has a $20 deductible, sets reimbursement limits on specific procedures, and pays a maximum of $1,000 per incident or $5,000 per policy year. For $134 a year and a $40 deductible, VPI's Gold Plan would have sent me $779. The policy allows claims up to $2,000 per incident or $7,500 per year, and also sets reimbursement limits on specific procedures. Veterinary Pet Insurance is available in 34 states. 800/USA-PETS. Does pet insurance pay? Certainly it is a hedge against costly medical procedures and could spare you some agonizing decisions should your pet become seriously ill or injured. Still, you must weigh the premium costs versus benefits and know what you are buying. The American Veterinary Medical Association sees potential value in such plans, but their assistant executive vice president, Dr. Bruce W. Little, who is a veterinarian, cautions: "The perceived threat of financial ruin isn't very realistic. Costs seldom run above several hundred or into the thousands." Also remember that even with insurance you'll pay for some office visits and routine procedures such as spaying or neutering. * Make sure the company is licensed in your state. * Assess the underwriting organization by calling your state's insurance commission. * Look at the price and the coverage stated in the policy. * See if the policy allows you to choose your veterinarian, and to follow up with a specialist if that becomes necessary. * Be sure you understand any policy exclusions. Items often not covered include vaccinations, parasites, hereditary conditions, physical therapy, and elective procedures. * Read the fine print. Companies frequently pay a percentage, rather than the remainder, of expenses after the deductible. * Request complete information before signing up. Don't just rely on brochures; they contain only partial lists of payments, deductibles, and coverage exclusions.